SUBJECT: UPGRADATION OF THE POSTS OF STENO,STENOGRAPHER AND PRIVATE SECRETARIES. The undersigned is directed to refer to the Finance Divisions O.M No.1(1)R-I/2012 dated 14th February, 2012 on the above subject and to request that Finance Division in the first instance may send their own opinion/views in the matter to this Division for consideration of the case. Dear Colleagues,I think this is a kind of delay tacts, otherwies there was no need of any such opinions. When Finance Division has forwarded them the views of the different deptt. they must take prompt action, now after 10 days inviting opinion from F.D. May Allah asked them. It is not delaying tactics if u want clarification then call me. Zindgi say gila kar k bhi roye, mout ki dua kar k bhi roye. Ajab maza tha namaz-e-mohabat main -FARAZ- Ada kay k bhi roye, qaza kar k bhi roye. kuch isi tarah ka sarkari mlazmin ka hal bhi hay, kahan jain kahan aur kis say shikwa karian. Dear chauhan and other respected Stenos,PAs, PS of the Federal Government. Janab Jin logon nay Khalid Riaz k haq main diyah gay Court aur F.G. kay order kay mutabiq Ibtada e fa ayda Utta liyah hay, Kiya un sub nay Bhai Khalid kay case pur utnay walay Akh ra jat main shearing ki hay, Jis nay b faida utta liya hay, us pur lazim hay keh kum uz kum aik dafa to 2000 rupay ka share kar lain aur aupnay sathion (Stenos etc) say b dilwa ain. Hum sub fa ey da lainay kay liyah tayar hain pur kuch himat b tu burhani ho gi. Gustakhi ki Maafi chahta hoon. Asalamulaqam,tamam colleques ko,ais kay bad urz hay kay Mr.Khalid Riaz per bar bar sak karna teek nahian hay,aus nay too joo hamray liay krana tha kar raha hay,baqi tamam clerifications waqat kay sath sath teek hoti janay gi woo sab ka hero hay aur aus ka ihsanmand hona chaay bagir kisi lalich kay aus nay aik na honay walay kam ko kar dekia ,warna yay establishment too hamary liay kuch nahi kar rahi thee yay delay kay tacktis nahi hain aik process hay zara sabir say kam lain,insallah zooror hamaray haq main better hoga.ThANKS. Arif and Karim Bhai, AOA, Khalid Bhai par shak karny kisi ko nahin hay, bat hay Government ki. sab kw pata hay k Khalid bahi ki koshsh hay an ky apny hath mian kuch nahin hay. Un ki khidmat, koshsh apni jaga muqdas hay. un k bary koi bura soch bi nahin sakta unien chaiay k har bat apny par na lain. Haqeeqat ko badelnay na beth jain. Ham aik community ki tarah chal rahay hain wo hamary leader hain aur rahain gay. u say to kisi ko koi shakait nahin. Baqi ap ki ray say mutfiq hon jin ke faida hoa hay unhin share karna chaiya. main phr kahon ga Khalid bahi say kisi ko koi shikait nahin honi chaiya aur un ko bhi har bat apny oper nahin laini chaiya. Thanks for the comments of Abdul Karim and Arif. Jo app log soch rahe hain main aisa nahi soch raha. Pehle ma ye clear karna chahta hoon k Establishment ka Jawab delaying tactics nahi us ke peche koi baat ha jo ma es forum per nahi kar sakta albata time aney per bata doonga lekin agar kisi ko abhi pata karna ha tu wo mujhe call karey. Baqi ma un sub doston ka shukriya ada karta hoon jinhon ne meri thori bohat financial madad ki aur jinhon ne nahi ki unka bhi mashkoor hoon. Rahi baat apne app per lene ki tu ma na tu President hoon Association ka aur na Leader ma tu aik simple sa Stenographer hoon apney aur apney bhaiyon k liye jitna kam kar sakoon karta rahoon ga.Aur ma sirf app longon ki Dua ka Mohtaj hoon. Har waqt duaon ma yad rakna. Khalid Bhai Stenographer Association of Punjab Secretariat is interested to launch website like this Forum but due to some financial constraints, at that time it is not possible. Mr. Akram, the President of Stenographer's Association has requested me to get information from you whether we can use this Forum i.e. www.starrice.blogspot.com. Punjab Government as well as other Provincial Governments have not implemented the Federal Government Notification for upgradation of the posts of Stenographers so far. Therefore, Stenographer's Association of Punjab is interested to use this Forum for our achievement. Khalid Bhai, if we can use this Forum, then what will be the criteria? Mohtaram Khalid Bhai, I will be appreciated if you give me reply through this forum. I am looking forward from your reply. This is your forum. All stenographers all allowed to use this forum. u can use this forum through comments if u want to publish some documents then send it to me through my email i.e agnwfp@hotmail.com. 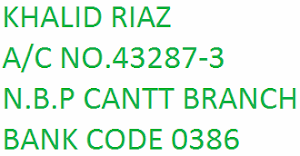 ATTN: Mr. Khalid Riaz Esq. Thanks a lot for allowing us this Beloved Forum For Stenographers. Khalid Bhai, I request you please help us for implementation of Stenographer's upgradation notification for all Provincial/AJK Stenographers. I suggest Establishment/Finance Division should write letter/instructions to all Chief Secretaries of Province/AJK for implementation of Stenographer's upgradation notification dated 23.12.2011 in letter and spirit w.e.f. its issuance i.e. 23.12.2011 with all back benefits. I once again thanks a lot. I uploaded latest information regarding upgradation of Stenos in Provincial Government of Khyber Pakhtunkhwa. I always admire you struggle for Stenos. I always pray for you. May Allah help you. May Allah bless you as you wish. AMIN. 2. Premature Increment on upgradation. Whether your good honour filed case in Supreme Court of Pakistan or not. 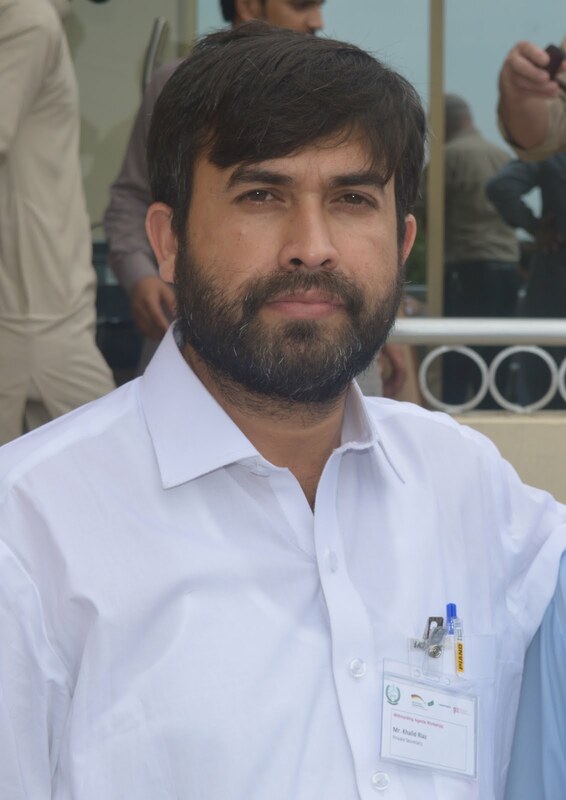 Thanks Khalid Riaz hero of the all play for receipt of new information regarding entitlement of pre-mature increment in upgradation of stenographrs/stenotypists/ps,under consideration and hope it will be finalized very soon. Thanks a lot for updating us on pre-mature increment issue. Hopefully it will be decided in our favour being our just right. I have earlier requested your goodself for any supporting documents to help us to declare/prove Stenographer BS-16 as gazetted as in many departments, they are not treating us as gazetted as yet. According to my sources the Finance Division closed the file of PRE-MATURE INCREMENT on upgradation to Stenos. Khalid Bhai this is delaying tactics or the matter closed forever. please inform us about any progress about back date upgradation and also Computer Allowance for Stenos. Farooq Bhai, don't say truth, because no one is ready to listen truth. Every one wants compromise for his benefit some colleagues are angree with me due to my truth speaking and don't like my comments. Please don't give such comments. Already in B-16 and B-14 have not given any type of benefit of up-gradation, no one is ready to say one one word about it.